When travelers come to South Africa, one of the highlights of the experience tends to be meeting the locals. “We’re great storytellers because everyone here has a story to tell. The problem is that when South Africans tell stories, they can go on for a while,” joked the Honourable Minister of Tourism Derek Hanekom, during a private press conference at Africa’s largest travel tradeshow, INDABA. Recommend was one of 575 international media who had the chance to hear a few of these stories first-hand throughout the 3-day event in Durban, which brought together 1,047 exhibitors from 18 countries that included destinations like Namibia and Kenya; major hotel brands like Hilton and Preferred Hotels & Resorts; and luxury safari lodges and collections such as Singita and Classic Portfolio. 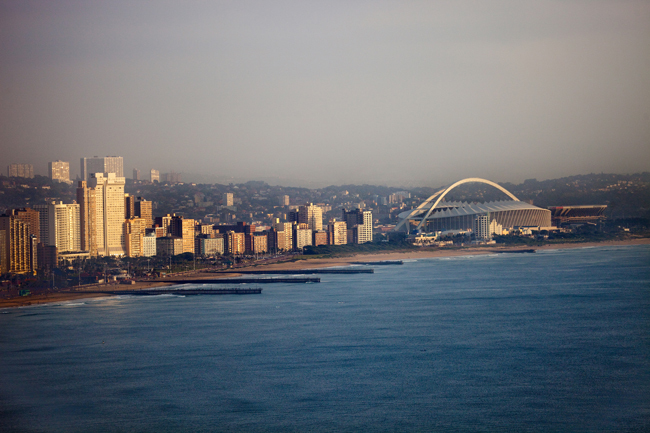 Dubbed the “Platform for Africa by Africans,” INDABA puts a spotlight on one of the fastest growing trade industries in the world, with tourism being the key contributor to Africa’s economy and job development. Tourism took a downward spiral in 2015 with the Ebola outbreak dramatically affecting numbers, but the United Nations World Tourism Organization predicts international visits in Africa will go up by 4 percent this year, aiming to reach the 130 million mark by 2030—more than double the current 50 million annual visitors. Already, this year looks promising for South Africa, up by 15 percent, hitting the 1 million mark in January for the first time since 2009. The weak South African Rand is a double-edged sword, but Hanekom predicts it will be a “bumper year for tourism” in South Africa. Here’s just a sprinkling of happenings showcased at INDABA that are sure to allure both new and repeat travelers to the continent. While chatting with Bangu Masisi, South African Tourism’s North America president, she said that luxury is usually defined as something that’s expensive, but what’s really considered luxury is something you don’t do every day. I couldn’t describe luxury better myself, and we experienced Old World luxury to the truest extent with a private four-course dinner on board Rovos Rail, sponsored by South African Airways. Our mini journey didn’t take us far from Durban, but the experience was still once-in-a-lifetime, dining in replica 1920s cars while the South African scenery (and wine) passed by. In February, Rovos Rail acquired Shongololo Express, renovating the train’s cars so they’ll be up to Rovos standards by September. Considered more of a “land cruise,” journeys on Shongololo Express will be slightly longer than Rovos, averaging 12 to 15 days, with more adventurous land tours. The 72-passenger train will be just as glamorous, but the product will be a more basic one. Shongololo will offer less inclusions than Rovos, but rates will be 40 percent lower and appeal more to families, honeymooners and the thirty-something set (starting at $4,000 pp). South African Airways (SAA) gave the U.S. media a taste of its business class product on the flight from New York (JFK) to Johannesburg (JNB) to get us in South Africa mode before even taking off. One of the first carriers to feature fully lie-flat business seats, the airline may offer a slightly older product on the market, but that’s about to change. While details are still being kept hush-hush, SAA announced that a new business class product will roll out in the fall on five of its new Airbus A330-300 aircrafts.